Requires Optifine, for correct working optifine is absolutely necessary, please select the relevant file! This is now the amended " forge compatible " resourcepack, that means, I removed some "modified " stairs, which had transparent backgrounds using with forge. 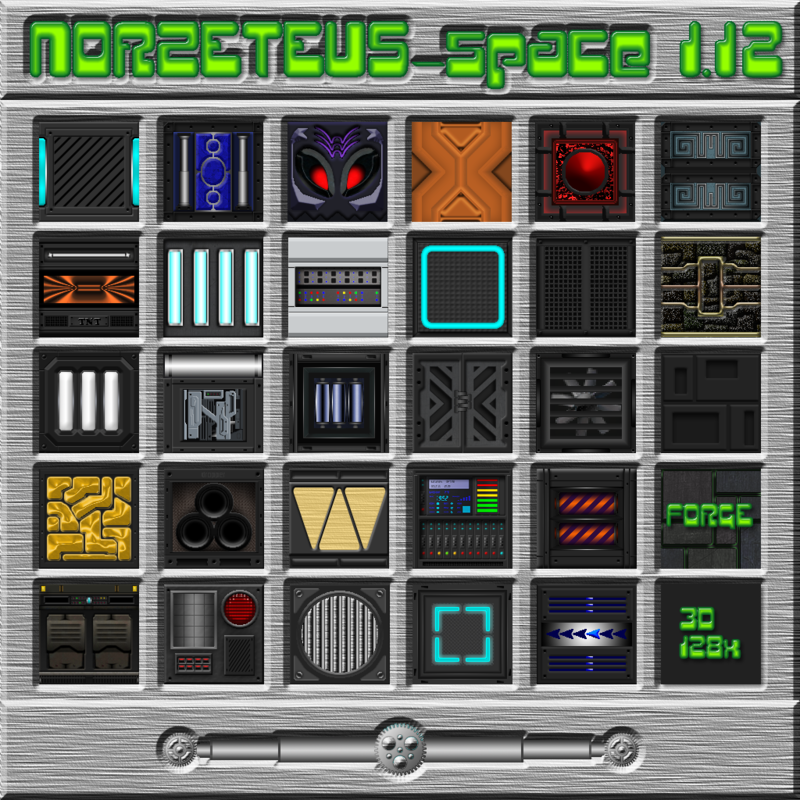 The normal spacepack is no longer available due to the changes in the MC sourcecode, sorry! I created a new Space - GUI to replace standard. 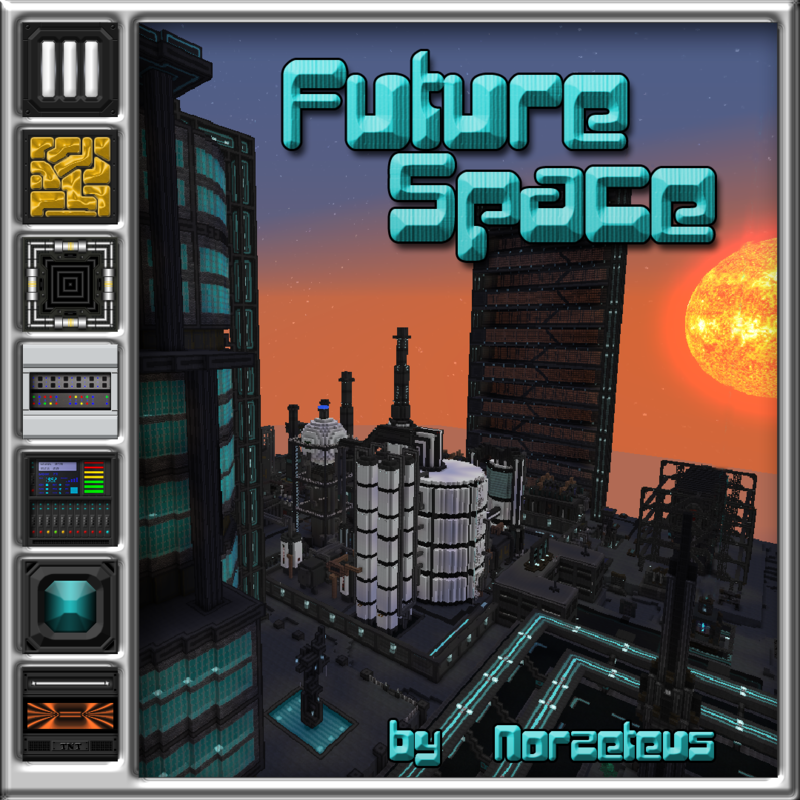 You can get about 30 Space buildings in my Space Building Bundle now! 3D modells are now in the [64x] pack avaiable ! The Server Unit textures seem to be goofed in the 1.12 version, showing the bookshelf side textures instead of whatever texture was supposed to be there. Other than that, O_O. This is awesome. Might be the OptiFine version I was using (1.12.2-C8). I'll investigate further and get some screenshots. OK, it works with just Optifine and Space - Extended. I had a couple of other mods (JEI + Some Addons and JourneyMap), so one of those may have been the issue. EDIT: And now I can't replicate it. The only difference here is that I am using a fresh instance in MultiMC instead of reusing one that originally had other mods. This might have been caused by a texture caching issue. I have noticed that the carpet collision box is a full block, causing the player to 'float' over them. That might need to be checked. Hello, to report that the glass texture (vanilla glass and vanilla glass pane) seems missing (it shows a rose block instead), funny thing is that stained vanilla glass shows fine (i've specifically blue stained glass but teste with other colors and are displayed ok). I can send you print screens, just tell me how. Nevertheless the textures are really nice, and several details (like the torches) are really cool!! Thanks for your information, but you are wrong! I checked it and took 3 screens where you can see whats going on. Hi thanks for your response. What is your recommendation about optifine then? I'm delighted with the sounds and skins of the mobs, great great job!! great texture pack, but the bone block texture isn't really that good. Could you add ore support for mods like Base Metals and Substratum so they don't look so different from the rest of the pack when used? I'm just wondering because it's really disconcerting to be using your pack a vanilla looking ore mid-mining expedition. Also, would you be interested in making pack addons for use with the most mainstream mods? Things like Ender IO, Extra Utilities, RF Tools, Forestry, etc? If not, I understand. Though, one mod you might consider supporting is Matter Overdrive, since it is Star Trek based and fits your pack's motif a bit better. Check out their development build for 1.9.4 minecraft and see if it is something you'd be wiling to support.